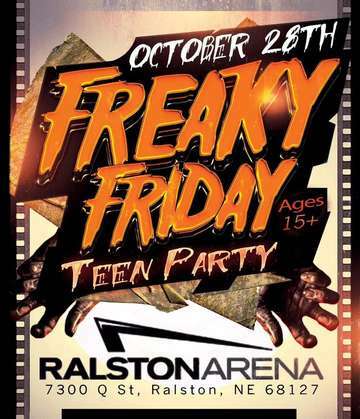 Come and celebrate the biggest Teen Halloween Party of 2016 at the Ralston Arena! We realize there's Nothing else for high schoolers to do on Halloween! So we are bringing the Best Djs in Nebraska along with Massive sound and Concert Lighting to You for a Halloween Rave to remember!